Freedom Has Its Own Constraints : 13.7: Cosmos And Culture Scientists are charged with pushing back the boundaries of ignorance, with exploring nature's unanswered questions. Commentator Marcelo Gleiser says the system that allocates funding for research can also limit the range of questions asked by the scientific community. The relationship between science and the government shifted dramatically in the wake of World War II, when the fruits of basic research resulted in an applied technology that changed the course of the war and world forever. 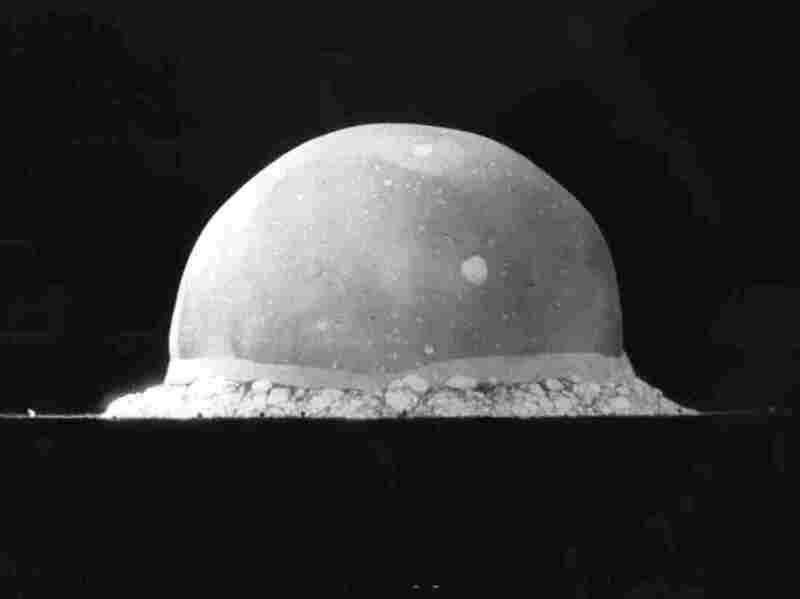 Above, a nuclear explosion at the Trinity Site on July 16, 1945. Now that the election is over and we have a winner, we can move on to consider questions that are of concern to any presidency. In fact, the question I'd like to consider today goes to the very core of scientific research and the way it functions in modern democracies, fomenting intellectual and technological innovation. Are scientists who receive funds from the government free to create? Let me explain. In order to do research, academic scientists must rely on grants. These pay for equipment, graduate students and postdoctoral fellows, travel to conferences, publication charges in academic journals and administrative support from the universities and colleges where the research is done. They may even include a salary component for the researcher. There are many kinds of funding agencies, from the federal government to foundations. There is also industry-related funding which, of course, is mostly driven toward a specific goal, the creation of new technologies that will increase the company's bottom-line. Naïvely, one would think that the more removed from applied research, the freer a scientist is to pursue his goals. To a certain extent that is true. But how free is a scientist to create? Although there has always been an alliance between science and the state (even Archimedes designed weapons for the king of Syracuse), the Second World War changed things forever. Scientists developed the technologies that were key in changing the course of the war, and this at huge expense to their governments. They came out as the heroes who could control the powers of Nature to create formidable weapons and machines. Since then, the National Science Foundation (NSF), founded in 1950, has been the major force behind abstract or basic scientific research in the United States. The NSF proposes that scientists should have the freedom to create, to think deeply about fundamental problems in order to promote seminal advances in our understanding. The process works as best as it can. I certainly owe a lot to the role of NSF funding in my own career. Still, it must be remembered that grants are based on a peer-reviewed process (how else can you insure the quality of a proposal?) and peer-review is never "pure": there are trends in research, often dictated by a few prominent scientists who determine, even if indirectly, which avenues are best to pursue, which directions are promising. Even if, as Stuart Firestein argued so well in his book Ignorance: How It Drives Science, every grant proposal is a statement of ignorance and not of knowledge, this ignorance is based on questions coming out of the research process. The research process itself is rooted in the academic community's current preoccupations, documented in journals and argued over at conferences. Those preoccupations are linked to a previous flow of questions and results. So, even in basic research, in principle far removed from any applied goal, there are intellectual trends limiting a scientist's creativity if he wants to get funding. And the need for funding is a fact of life. We should, of course, be grateful for agencies like the NSF and their mandate to support basic research. But we should also be aware that in science, as in politics, freedom is not freedom from everything. Freedom is the privilege to choose to what one must commit.